Stanford was born in 1948, in Mississippi, and died, by three self-inflicted gunshots to the heart, in 1978, at twenty-nine, in Arkansas. Seven books of his poetry were published in his lifetime, though most of those are difficult to find or out of print. Now, thirty-seven years after his death, we have the long-awaited Collected, which gathers not only all of his published work, but unpublished poems, prose, and part of an interview with Stanford. A man came down the road. I told him he better watch his step. Sleeping in the middle of the road. I said I was an orphan. They hold up my pants. I sleep where I please, says I. Mark Twain's unforgettable Huck Finn surely was an influence on Stanford, but his voice was his own creation, shaped by growing up along the Ozark levees, absorbing the local speech, in particular the rural black Southern dialect. His language draws heavily on rural imagery, but is presented with an intensity that leads some to call his work surreal. This image, from "The Angel of Death," captures that hyperreal/surreal mix: "The moon went back into its night / Like a blue channel cat in a log." Not only voice commands attention in a Stanford poem, but the locale does as well. His poems create a world where we meet characters named Baby Gauge, O.Z., Ray Baby, and Six Toes. It's a world where a hired hand nails "the head of a varmint" to a joist in the barn, where the blue yodel of Jimmie Rodgers echoes in the back rooms of his poems, and in some of his titles too—"Blue Yodel of the Wayfaring Stranger,” “Blue Yodel Silence You Are," "Blue Yodel of the Quick and the Dead." Like the speaker in "The Angel of Death," Stanford was an orphan. He attended a Benedictine academy, and later the University of Arkansas, Fayetteville, where he intended to study civil engineering. His love of poetry, though, led him in another direction. In the spring semester of 1969, while he was a sophomore, he was invited to attend the graduate poetry workshop. He soon dropped out of college and worked for many years as a surveyor in Arkansas. He certainly knew his home terrain, but make no mistake—flies to the contrary, Stanford was no rube. In an unpublished manuscript of "versions and improvisation" in the Collected, readers can see the depth of his poetic knowledge. He dedicated poems to Comte de Lautréamont, Jean Follain, René Char, René Daumal, Yukio Mishima, Federico García Lorca, Antonin Artaud, Robert Desnos, Yvan Goll, Pablo Neruda, César Vallejo, and Sergei Yesenin, among others. His backwoods persona seems to deny this depth of reading, but for those who linger over Stanford's poetry, it's apparent. Men with no headlights drive up in front of a whorehouse. On the back of their pants. Then they go upstairs and hang a woman. I used to bite off a new pair of dungarees. The closer their voices get. At first the title seems to provide an entry into the poem, but as is typical with a Stanford, the title creates even more mystery. The violence, in the third stanza, comes suddenly, and is told in a flat, emotionless manner. More lines are given to how the men clean their shoes than about the murder. The emotion in the poem comes with the imagery: "The sun comes loose / Like the bright orange thread / I used to bite off a new pair of dungarees." That's all we know about our narrator. The closing koan-like couplet leaves us to ponder not only the events, but the dark implications. Are the men drawing near to the narrator? Or is the narrator speaking about their psychic presence, how their act of violence has been internalized? Throwing shovels of dirt at a boat. like the soft and the hard bugs on a summer night. Though sin is never mentioned anywhere in the poem, only the title, it appears to drive the speaker to consider self-mutilation. As with Sylvia Plath, death for Stanford ultimately became seductive. But for a time, poetry seemed to be a way for him to charm the grim reaper. As he says in The Battlefield Where the Moon Says I Love You, “all of this / is magic against death.” That magic finally failed him, but the “all of this” he left us was vast. 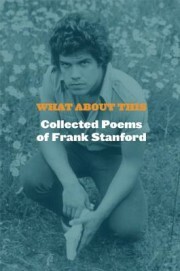 The Collected contains over four hundred poems (with more on the way in the forthcoming Hidden Water: From the Frank Stanford Archives). Given this literary output, any editor would struggle with what to publish, and what to leave in the archive. That said, editor Michael Wiegers has made some odd choices. In his introduction, he tells us that “I did not try to make a complete gathering,” disappointing for a 747-page book called Collected Poems. It’s certainly understandable that this volume cannot include the entire book-length The Battlefield Where the Moon Says I Love You (a part of the even larger manuscript Saint Francis and the Wolf). But the decision to offer snippets from The Battlefield, and to place them throughout the Collected, gives no sense of the size and power of that massive poem. The Battlefield would be better evoked if all the excerpts were placed in a separate section, if they should be included here at all. Wiegers also tells us he has left out variations of poems “so as to avoid repetition that might make the book less propulsive,” yet he includes a variant of “Desire for a Killing Frost” and two versions of “Death and the Arkansas River.” He also has included forty-three pages of Stanford’s “Uncollected Prose,” which are unpublished short stories, but why not use this space for more of the archival poetry? Or for a fuller biography of Stanford? The one-page biography of this poet, at the back of the book, does little to suggest the richness and complexity of Stanford’s life. Dean Young’s introduction offers imaginative praise of Stanford (“Imagine Vallejo growing up in a tent on the Mississippi”), but Leon Stokesbury’s introduction to The Light the Dead See: Selected Poems of Frank Stanford (University of Arkansas Press, 1991), provides a fuller biography and stronger context for the poems. 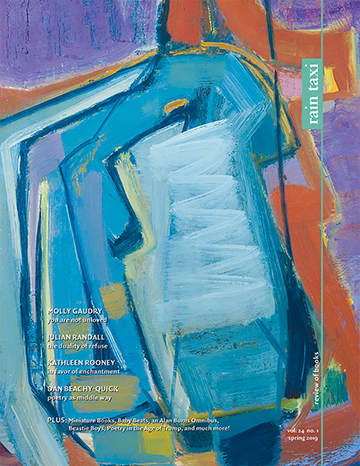 A more accurate title for this book would have been The Collected Shorter Poetry, as New Directions did with Kenneth Rexroth and as Copper Canyon themselves did with Hayden Carruth. Or it could have been the first volume in a series, to be followed by The Battlefield Where the Moon Says I Love You (only 542 pages in the last edition!) in its own volume, and a third one collecting all of Stanford’s fiction. Despite these minor problems, Copper Canyon should be lauded for publishing this much-needed collection—a must read for those who already know his work, and a chance for a new generation of poets to discover it. The publisher should also be commended for the well-chosen illustrations: photographs of Stanford, reproductions of handwritten and typed manuscript pages, a copy of the certificate Stanford received for fourth place in a 1958 poetry contest. These illustrations make the poet less a legend and more the complex young man he was. But what a singular individual, one of those startlingly original poets America always acknowledges far too late (as with Lorine Niedecker and Alfred Starr Hamilton, to name only two). One last reminder of Stanford’s character can be found on the inside back cover of the book, in a note dated 11/16/74. “Dear Mr. Stanford,” the typed note from the Academy of American Poets begins, regarding his submission of The Battlefield Where The Moon Says I Love You. “We just cannot accept a manuscript for the W. Whitman Award competition that is significantly longer than 100 pages. If you are not able to cut down your entry to that length, then you should not send it in to this particular competition.” No, he could not and would not “cut down” his manuscript. As he says in “With the Approach of the Oak the Axeman Quakes,” “You know there is no other poet on earth like me.” He may have been bragging, but he was speaking an undeniable truth.